We are instrumental in offering a excellent quality range of Cantilever Frame. 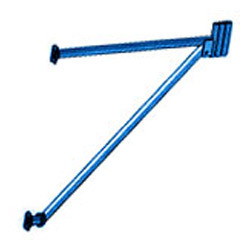 Made using two round tubes with ledger blades, which is welded on one side, it has to be inserted in respective cups of standard and on another side there is a provision to accommodate jacks. The raw material used in manufacturing these products are obtained from authentic vendors of the industry.